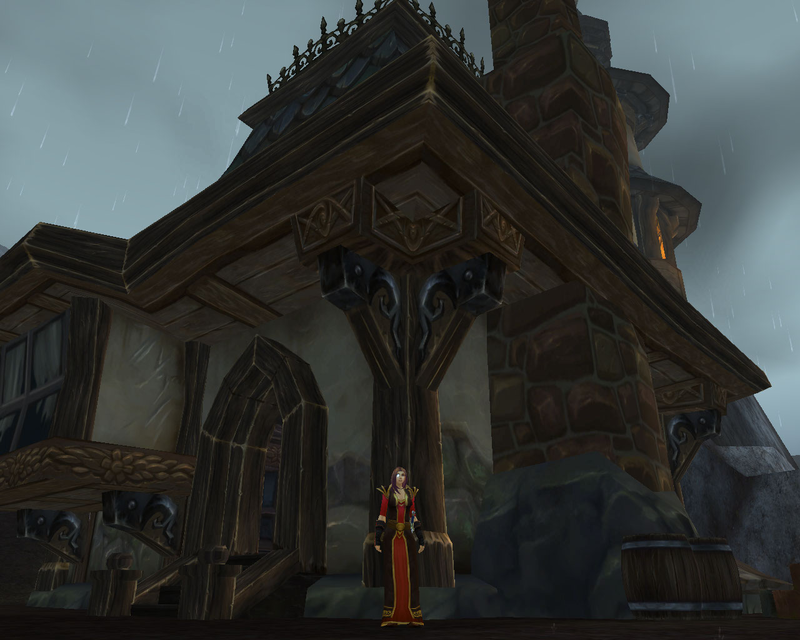 TYI Day 2: Player Housing « It's For My RP Spec! 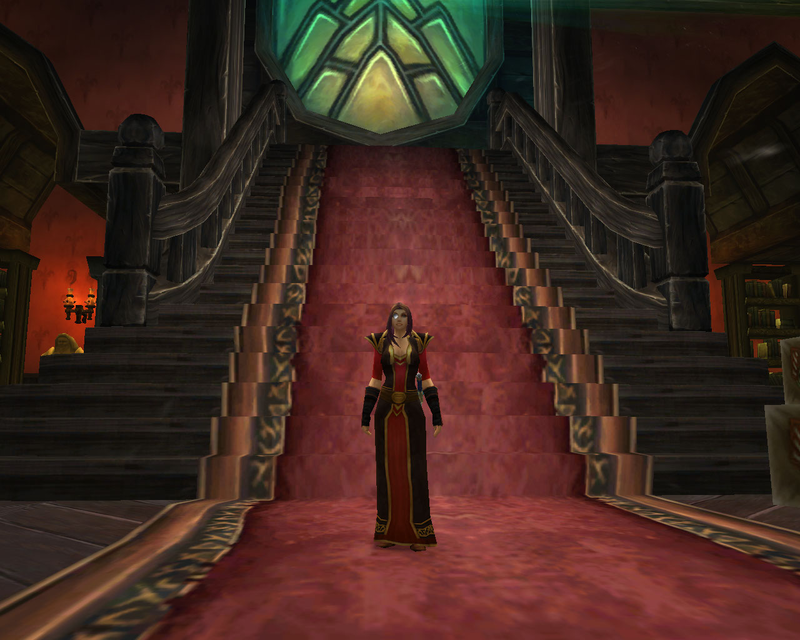 Based on Tanwen’s mount and pet collections alone, I imagine she lives somewhere with a lot of room. 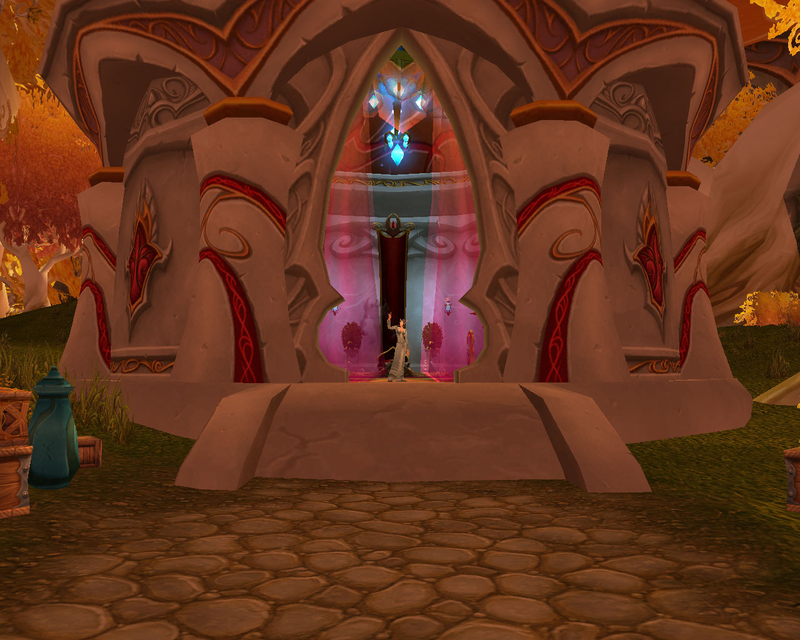 The small building just northwest of North Sanctum in Eversong Woods is probably just the place! Lots of grass for all the… well, actually, she mostly have carnivorous mounts. Um. Lots of… dragonhawks? Yes. Anyway, lots of space, which is the key feature here. In addition, I imagine Tanwen likes to have some peace and quiet after a long campaign of killing bosses, so this looks like just the place where she can nap on the fainting couch, sit on the porch and sew, and enjoy the eternal spring. 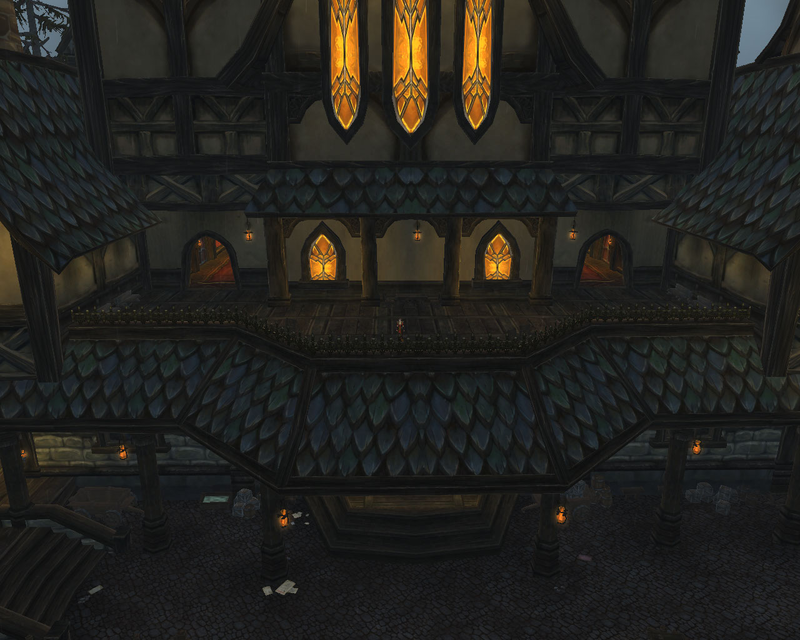 Fortunately, she moved to Ironforge prior to the razing of the human capitol, so her apartment across from the museum was safe and sound. It’s a funny little house and she had a great view of the elemental invasion from that porch! 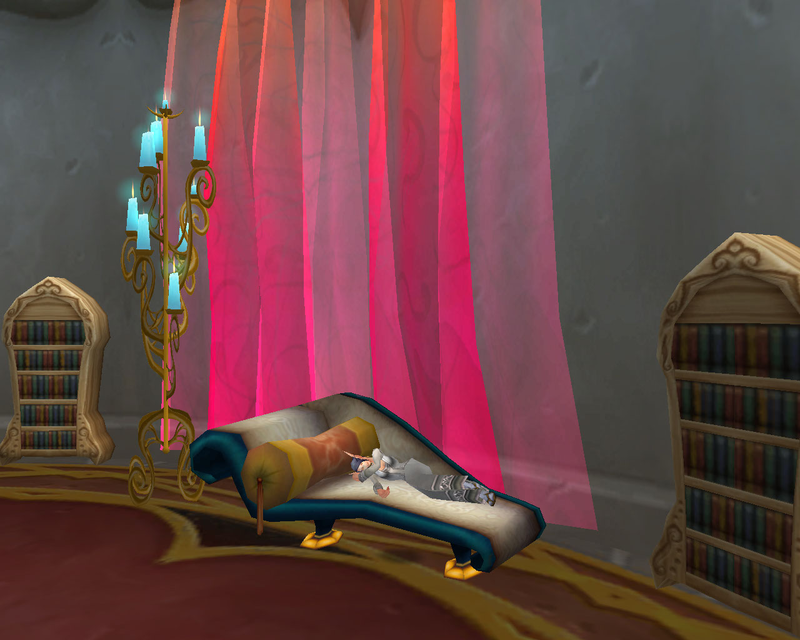 Vela lives in… Greymane Manor! Just kidding, but that’s definitely the sort of house I would imagine her having, with the beautiful stained glass and the plush runners on the stairs and all. But she likely just calls a cozy little cottage of doom home. Hunky worgen man optional. It was too fun to pass up. 🙂 I love stuff like this, though I admit it does stray a bit from the “fashion” there around here… but still!